It was 6.30 am. Deepika was looking at her 3-month-old daughter, Sheetal, lying in the hospital bed and peacefully sleeping. Who can even imagine that the child is a heart patient and will require an open heart surgery? Sheetal had a rare condition, a hole in the upper part of heart, abnormal connections between heart and lungs, block in the blood supply to left lungs and also no valve between heart and lungs to regulate the blood flow. 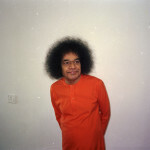 Deepika looked at Bhagawan Sri Sathya Sai Baba’s smiling photograph, on the wall. 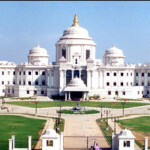 Her mental dialogue with Him started again, as it has been for the past thirty days, when they first entered the Super Specialty hospital in Bangalore. Since then, they are waiting for the open-heart surgery. Considering her tender age and health condition, the doctors were waiting for the opportune moment to carry out the surgery. The child’s chest was heaving and she was fighting for her breath. For Deepika it was like a movie in slow motion. The sisters and doctors rushing in and surrounding the bed, their hurried discussions, the sound of the stretcher coming into the room, her daughter being wheeled away and she running behind the stretcher, followed by her husband and mother-in-law. The doors of the Cathlab closed with Sheetal inside. Deepika collapsed to the floor. Surprisingly, there were no tears. No tears were left anyway after the two-month’s ordeal they all have gone through. Her eyes fell on the wall clock at the end of the corridor. It was two minutes past seven in the morning. She could not believe that less than ten minutes have passed since her scream. For the first time since her birth, Sheetal was out of her sight. Seconds rolled into minutes and minutes into hours. 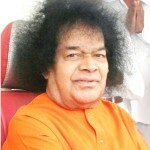 Deepika was sitting like a rock, her gaze fixed on Swami’s photo on the wall. He was still smiling at her, His both hands raised in blessing. She did not respond when her husband asked her something. Though she listened to his words, her mind could not decipher the meaning. They were just sounds. It was ten-thirty when the Cathlab door opened and Dr. Dash came out followed by two other doctors and a nurse. “Harshitji,” Dr. Dash addressed her husband. “We have done an angioplasty (removing the block for blood flow to the left lung) Sheetal and she is fine now. But we need to do an open-heart surgery immediately. We need your signature on the consent form.” He took a sheet of paper from the nurse and gave to him. “We will do everything possible and have faith on Swamy.” He walked back into the operation theatre, followed by the other doctors and nurse. The door closed again. The unending wait started for Deepika and the family. Lunchtime came and went but none of them could bring themselves to eat. “The doctors wanted me to make sure that you all had lunch. From the looks, it is obvious you have not eaten anything since morning. Come with me to the canteen. The surgery will take few more hours and we do not want another three patients fainting from starvation.” The sister was joking trying to lighten the moment. All three meekly followed her to the canteen. It was past seven in the evening when the surgeons emerged from the operation theatre. Their smile was reassuring as they walked towards them. The long wait to see her daughter started. Deepika continued her mental conversation with Swamy. But now it was one of thankfulness, of gratitude and apologies for all the fights and arguments she had with Him for the past thirty days. At 2 am, they were allowed to go inside ICU and see Sheetal through the glass window. They could hardly see the small frame, which is now covered with tubes and wires. The nurse and the doctor standing next to the bed gave them a smile and the doctor showed his thumbs up. As they came out of the ICU, they heard the noise of firecrackers. 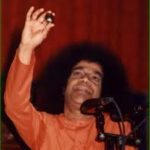 It was Deepavali and some had started bursting crackers well before dawn. The festival of lights had truly arrived for the Sonkar family. Sheetal was being wheeled into the general ward. 5days have passed since the open-heart surgery. These 5days, Sheetal did not miss her parents as all the doctors and nurses filled in the gap and played the role of her parents. By now she was quite famous inside the hospital and everyone knew her by name. She was one of the low weight babies to undergo open heart surgery. Sheetal looked at her mother and smiled. Her first toothless smile to her mother in more than a month. “What, you want to become an inspector?” asked Harshit, incredulously. It is the first time the ten-year-old Sheetal, the brightest kid in her class, has talked about her future career plan! Deepika laughed and hugged her daughter as the auto-rickshaw came to a stop near the entrance to the hospital. As they entered the hospital, they all bent down, touched the earth and then touched their head. It is the tenth annual checkup for Sheetal. For Deepika and Harshit, it is their tenth annual pilgrimage to the holy place where God Himself walks. And heals. These are common and complex heart defects detected at the time of birth. Very common in less affluent sections of the society. This patient has got multiple birth defects.